The coastal beach of Kribi lies on the Gulf of Guinea, in Océan Department, South Province, at the mouth of the Kienké River. The beach is almost 150 kilometersby road, south of Douala, the largest city in Cameroon and the busiest seaport in the country. The vicinity of Kribi is a possible location of a port for the export of iron ore from about 500 kilometres away. 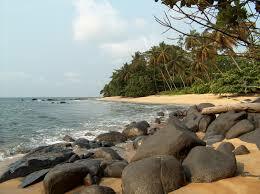 Kribi is home to best beaches in Cameroon and is the perfect place for Cameroon holidays. Surrounded by thick rainforests and magnificient parched landscapes this beach captures your attention and makes you want to stay longer. Nothing makes you feel as good as a refreshing swim in the clear waters of Kribi beach. One of the cameroon best beaches, Kribi has everything from snorkeling to scuba diving which are perfect activities for those who love water sports in clear waters. 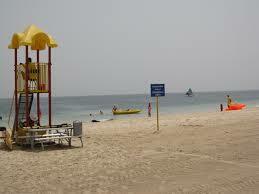 The white and clean sand make a perfect location for playing games like volleyball, soccer etc. 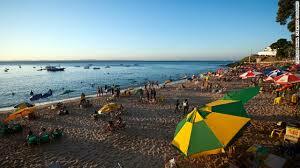 or you can simply carry a beach umbrella and enjoy sun bathing. 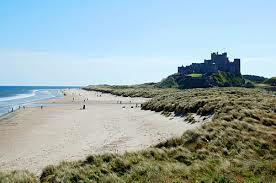 You can stroll along the beach and enjoy the sunset while capturing the beauty of this beach in your camera. You can visit the nearby rain forests, go for a hike or trek early in the morning. Enjoy the wildlife or set a campfire along with your family or friends to enjoy a perfect and fun filled night. 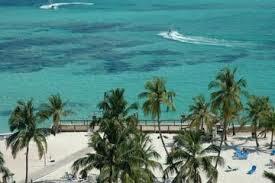 You can enjoy a comfortable and enjoyable stay at various beautiful resorts situated near and on the beach. Also, there are various places to see in Cameroon especially when in Kribi. Kribi being a white sand beach makes you feel like wanting to walk on the beach over and over again. 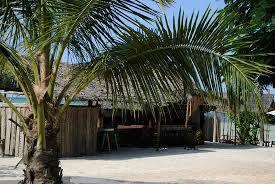 As the beach lies near rain forests ambient insect life and night sounds are observed around the beach. 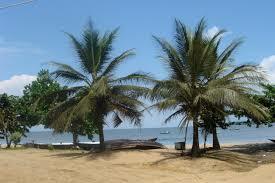 Kribi is one of the places to see in Cameroon. 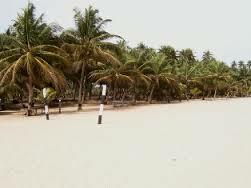 It is one of the best beaches in Cameroon. You can also spot various species of beautiful birds here.